Most of our chats about body-care and cleaning revolve around do-it-yourself projects. Our projects are simple in nature and use simple ingredients to create everything from deodorant to cleansers. Over the past few months, I’ve felt a need to start addressing more of the store-bought side of natural living. I’m definitely not turning my back on making products, like dish soap or moisturizer, but at the same time I realize that most of us just aren’t going to make every body and cleaning product. That’s 100% understandable, and practical. 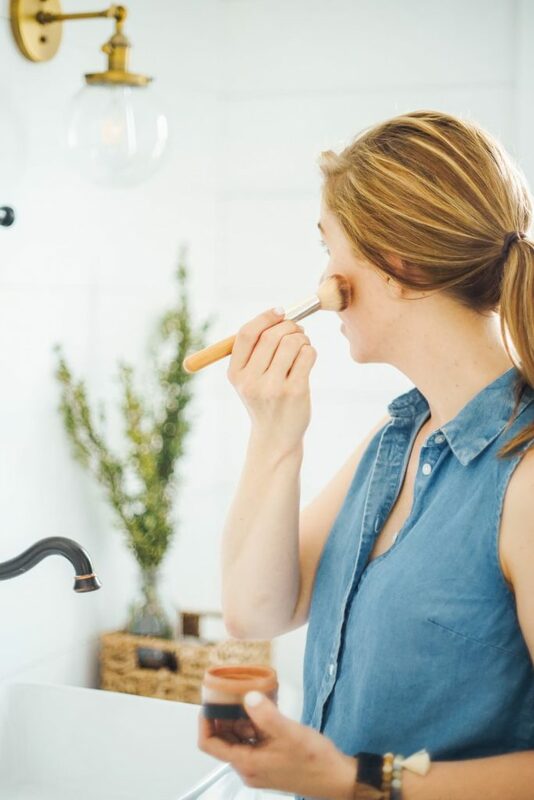 And aside from the “not being able to do everything” aspect, I think it’s also important to recognize that not everything is easy to make at home (like most makeup products and shampoo). Trust me, I’ve tried to recreate these products, like shampoo, with simple ingredients and the results have been less than enjoyable. For this reason, I continue to purchase store-bought products, along with making homemade creations. 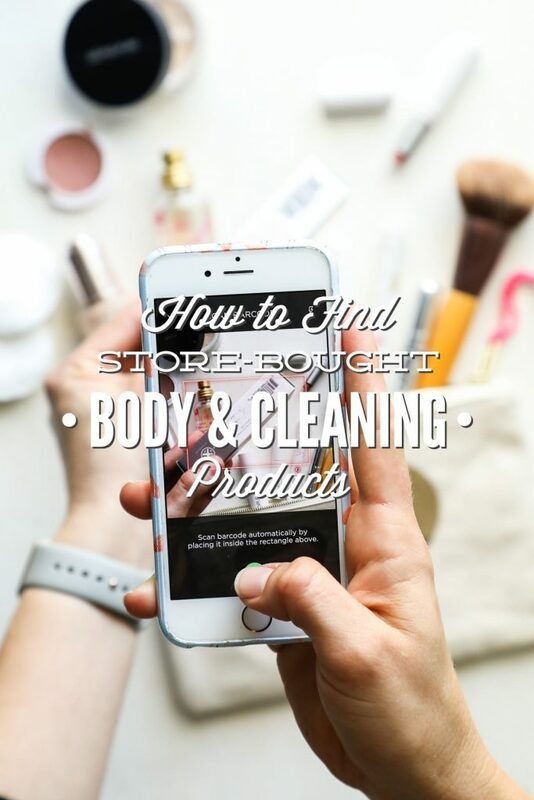 Friend, over the next few weeks, let’s chat about finding more natural body and cleaning products from a store (whether this is an online store, or a physical store in your area). Think of these chats as short little breaks away from our homemade projects. 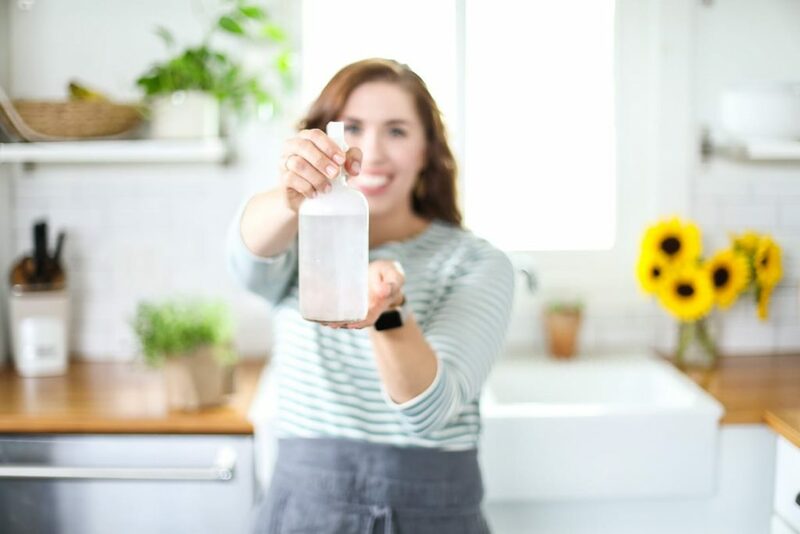 My hope is that after our chats, you’ll feel more empowered as a consumer to make intentional choices about what you put on your body and use to clean your home–whether this means you make a moisturizer or laundry soap this month, or purchase the product from a store. In the past, I’ve shared my five question strategy for determining which products I’m going to make versus buy. These questions apply to food, cleaning products, and body-care products. If you haven’t had a chance to read that post, then I recommend popping over here first. Then come back. Today, let’s chat about a simple method I’ve used to find natural cleaning and body-care products at the store. A method that doesn’t require knowing much about ingredients or how to read ingredient labels (something you’ll probably only find on body-care products since cleaning products aren’t required to disclose this information). A method that only requires a computer, or a phone, and the ability to read. That’s it! Homemade products. So many of the products I used, could be switched out for easy homemade solutions. The all-purpose cleaner I used in my kitchen and bathrooms, could easily be made with vinegar or castile soap (or Sal Suds). The laundry soap I purchased, could be made with a combo of borax, washing soda, and castile soap. My expensive moisturizer, could be replaced with a blend of oil and aloe. The Environmental Working Group or Think Dirty App. For the products that were to difficult to make at home, or when I just didn’t want to make something, I discovered two watchdog websites (well, actually one is an app for the phone) that could help me make informed choices about products, without taking those science or language classes ;). The website and phone app, EWG.org and Think Dirty App, proved to be an invaluable and time-saving resource for me. The EWG, Environmental Working Group, is a watchdog group. According to their website, “We are a non-profit, non-partisan organization dedicated to protecting human health and the environment.” On their website, the group provides information about healthy living, including product information and ingredient information about many of the products sold in stores and used in homes. This database of information allows the average consumer, who is looking to make more informed choices, the ability to see exactly what ingredients go into making a product and how the ingredients may impact our bodies and environment. 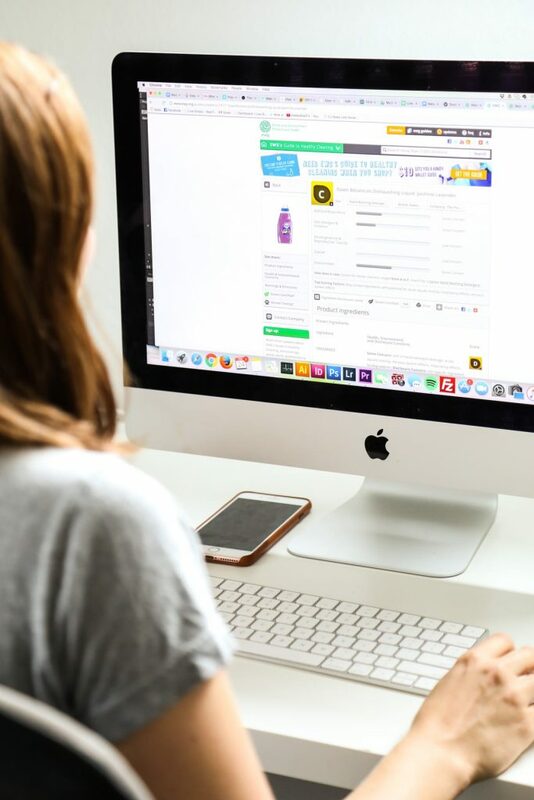 On the website, you can search cleaning and body-care products, or even look up a product (if it’s not found) using the ingredient list. That is, if an ingredient list is available. By the way, if a company refuses to disclose ingredients, think of this action as a red flag. 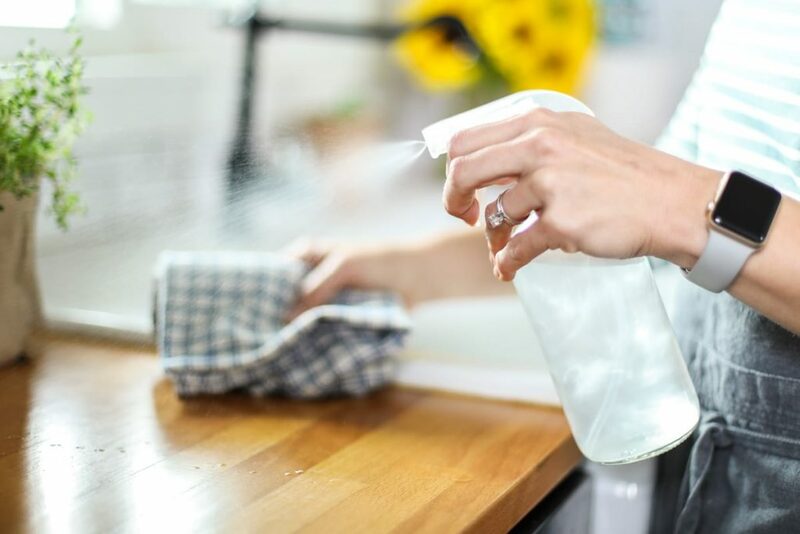 When I was using Dawn Dish Soap, I typed “Dawn Dish Soap” into their database and within seconds I was able to determine, based on the EWG’s rating scale (ranging from A to F), if the product was a good choice for my home, or if I should find an alternative. The EWG also offers the consumer the ability to find more natural options. The body-care/cosmetic section of the site, called Skin Deep, offers a consumer the ability to look for specific body-related products, or look up specific ingredients, and view their ratings based on a 0-10 scale. The Skin Deep Database is also available via a phone app. To use the app, simply download Skin Deep to your smart phone. When you find a skincare product that you’re thinking about using, take a photo (with your phone) of the product’s barcode. The app will then tell you if the product is a “more natural” choice, or something to stay away from. The app will also tell you what ingredients you should be concerned about within the product. The Think Dirty App is a phone app that provides similar information as the EWG, including number ratings for products and “cleaner” brand suggestions. The Think Dirty App has a much larger database of products than the EWG App. 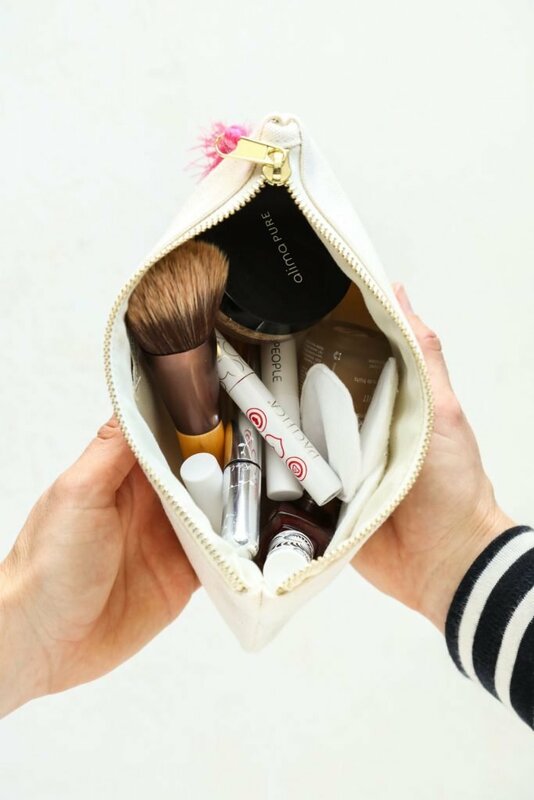 Both sources have been wonderful time-saving tools for me, as I try to determine which store-bought products are actually worth the investment and which are just trying to lure me in with fancy, unregulated words (like “natural”) and pretty packaging. Next time, we’ll talk about actual ingredient lists, specifically ingredients to avoid. My hope is that all of this information, from the online resources (EWG and Think Dirty) to expanding our knowledge about ingredient lists and labels, will help you be an informed consumer when you’re grabbing a product off the shelf. Finally, a member of the Live Simply Family recently shared this video with me. It’s such a well-done video from The Story of Stuff Project, and really explains the need to be intentional, and know how to be intentional, about the products we use. And one more note, a fellow blogger on Instagram shared about a different app called, Think Dirty, which also allows you to scan products and view their “clean” rating. Thank you for this post and the ones to come! They are just what I needed right now! Hey Jess, Yay, I’m so glad this post and future posts on the subject will be helpful for you! Perfect timing :). Yay! We just threw away all of our chemical cleaners and are using your recipes to make our own now. LOVE them (especially the oil eating multi-purpose cleaner and floor cleaner recipes!). But yeah, busy mom = can’t make everything all the time. Looking forward to future posts! Congrats, Tamara!! I’m so glad you’re enjoying the cleaner recipes :). It’s so empowering to know that you can make and/or purchase so many products, and to know how to purchase them. I’m glad these posts will be helpful for you. Hi Kristin, I love your multi-purpose cleaner and made bottles for my son and sister. They love them as well. I think your philosophy is right on target as far as store bought/versus homemade is concerned. I love making my own and can’t understand why anyone wouldn’t do it but I have tor realize that some people just don’t have the time or the interest. That video was so powerful. Everyone should see it. Thank you so much for this article. Totally reinforces my determination to persist in my, “Crazy, hippy, weirdness,” as my 17 year old daughter is calling it. She wants to be a Bio-Chemistry major. Here are some chemicals for her! Hey Suzie, Yes, that video is so well done! Hopefully her education will inspire her to create good change within the current industry–what a powerful way to use a bio-chemistry degree.